Talking Tactics - How will Serbia line up at the 2018 FIFA World Cup? 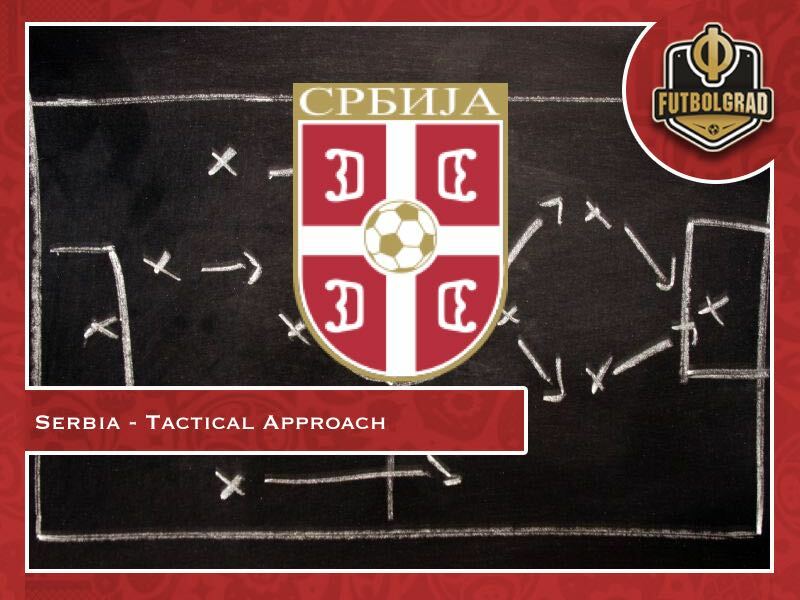 Talking Tactics – How will Serbia line up under Mladen Krstajić at the World Cup? It’s been long eight years since Serbia last appeared at a World Cup. In football terms, such a period would be considered an eternity. In all essence, it was perceived as such by the vast majority of the football loving community in this Balkan country. Journalists flocked the Sports Centre in Stara Pazova on Monday to watch Mladen Krstajić orchestrate the training session as Serbia officially kicked off ‘Operation Russia’. Under the slogan ‘One Team, One Dream – Serbia’ the Eagles will be keen to take a huge step away from their 2010 predecessors who suffered a disappointing and in no small extent an embarrassing World Cup campaign in South Africa. Under the watchful eye of the tactical genius Radomir Antić – a man who made his household name at Atlético Madrid before a brief managerial spell at Catalan giants Barcelona – Serbia edged France to finish top of the qualifying group 7 and earn an automatic place for the showpiece tournament. The Eagles were pitted against the likes of Germany and high-flying side Ghana as well as Australia in what’s been widely considered a ‘group of death’ – Group C.
A surprising 1-0 triumph over Germany followed the disheartening loss to Ghana at the group stage opening but Serbia failed to latch on the momentum and ended up losing to Australia 2-1 in what had been a crunch clash that saw our team crumble under pressure and display a chronic lack of mental strength and endurance Serbia are to this date afraid will come back to haunt them. The 2010 World Cup in South Africa signalled the beginning of an end for a high-hoped side led by one of the best tacticians Serbia has ever had. Eight years fast forward, and the Serbian FA would go on to resort to the same recipe by calling upon veteran coach Slavoljub Muslin whose tactical rigidness ended costing him the job despite the fact he led Serbia to a direct place at the World Cup in Russia, fairly comfortably one might add. Inflexible in his selection choices, Muslin threaded cautiously forward under the popular opinion which argued he never really managed to get the best out of his team at his disposal. He was served a thank you note and replaced by a Partizan legend – Mladen Krstajić – a man loved by the Black and White side of the Serbian football spectrum and respected by its Red and White counterpart. Albeit a managerial novice, Mladen Krstajić has served as Slavoljub Muslin assistant during the qualifying process. The former Werder Bremen defender was in charge of man management and was given a privilege to form a genuine inside insight of how the Serbia locker room worked. 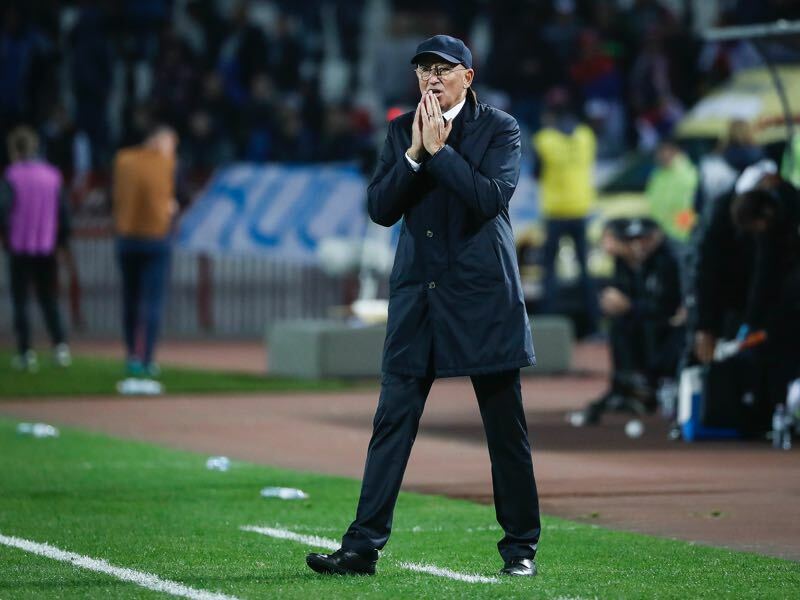 Greeted with a dose of scepticism, the newly-appointed Serbia head coach was quick to earn plaudits from pundits and general football audience as he channelled his playing days’ bravery and astuteness into his new role. Mladen Krstajić – What’s in store with the new boss? Standing tall under the public eye and constant scrutiny, Krstajić made a bold step away from an established system that gave results for Muslin and demonstrated he is not afraid to tackle any challenge thrown his way. “The 3-4-3 system worked for us although the Serbian public disputed it. We will try to incorporate a 4-3-3 set-up from now on. We have a Plan A, and now we want to make a Plan B as well as we have more than enough players to do so.”, Krstajić commented back in November 2017 ahead of Serbia’s Asian tour. It was a clear indication of Krstajić’s vision, the same one we can expect him to lay grounds for in Stara Pazova as he prepares his side for another long journey east. The November tour in Asia brought another point to public attention. 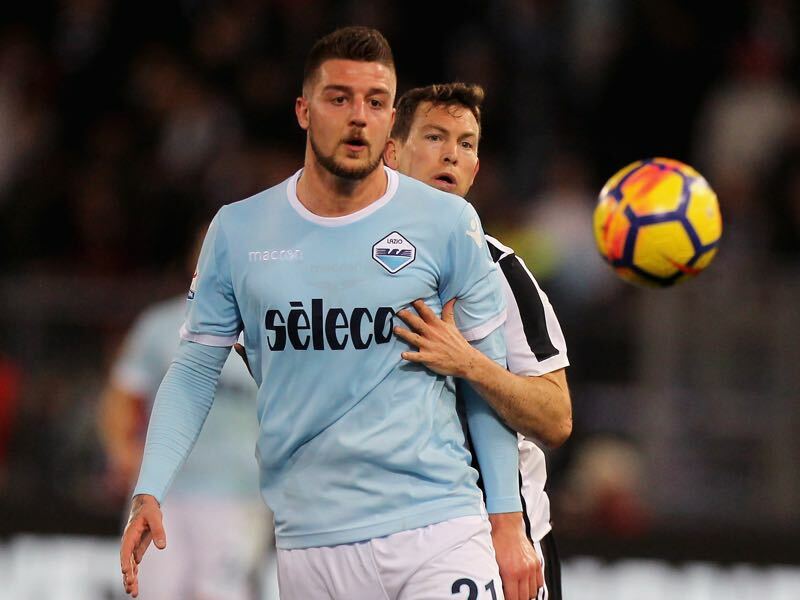 A Pandora’s box was opened on the curious case of Lazio star midfielder Sergej Milinković-Savić, the lad who emerged as one of the hottest Serie A properties during the 2017-18 season. Muslin insisted the Sergeant – as they call him in Italy – did not fit into his system which had constantly been cited as the main reason Muslin would serve him a call-up. Serbia’s golden boy from the famed 2015 World Cup winning generation was swiftly integrated into Mladen Krstajić’s team immediately after his appointment. He wasted no time in showing his value for the Serbian squad, prompting Krstajić to break silence over his absence. “I had all the arguments to call upon Sergej Milinković-Savić, and I wasn’t afraid to do so. Anyone who finds himself in the managerial position chooses the best players he has. Sergej confirmed he is a lad who’s going to be the future of this team. He earned his place in the Serbia team with his performances.”, Krstajić explained. With an experienced trio – Vladimir Stojković, Branislav Ivanović and Aleksandar Kolarov as the newly-appointed captain – who are the only players from the infamous 2010 generation, Mladen Krstajić decided to inject youth and excitement into his Serbia squad. Having trimmed his provisional World Cup squad from 35 to 27 names, Krstajić announced his team at a gas station which is the sole thing that diminished the overall sense of excitement that spilled over at the sight of young guns such as Nikola Milenković, Luka Jović, Andrija Živković making the cut. Krstajić’s 27-man list contains players from the Serbian Super Liga as well, who were rewarded for their fine displays in domestic championship. The likes of Milan Rodić and Nemanja Radonjić – both from Red Star – will gain valuable experience training with the senior squad although they are likely to be the victims of Krstajić’s final trim down to 23 men before 4th June 2018. With Sergej Milinković-Savić slotted behind the striker in a 4-2-3-1 formation we’re likely to see in Russia, Krstajić will hope to harness the Lazio star’s creativity and vision. Popularly referred to as SMS, the Serie A hotshot is also expected to use his physical attributes to break the opposition lines and dominate possession with his impression hold-up play in the final third of the pitch. In a clear move away from a long-ball oriented style of play which would usually entail Aleksandar Kolarov – or Filip Kostić – run down the touchline to cross it over to Serbia’s battering ram Aleksandar Mitrović, Krstajić is likely to deploy Adem Ljajić and Andrija Živković up front. The two players will add another dimension cutting in from their wide areas on the left and right, respectively. As for Luka Jović, the in-form and highly thought of Eintracht Frankfurt forward, Krstajić will use his dynamism and versatility to gain a valuable option upfront. Jović’s off-ball movement is a stark contrast to Mitrović’s robust style of play, whereas his mobility could prove to be a crucial aspect in different situations for Serbia. This is precisely where Krstajić will get himself a clear platform to generate his Plan A and Plan B which he can later deploy under different circumstances to get the best possible result against Brazil, Costa Rica and Switzerland. The contours of his team are already beginning to show but – most importantly – the outlines of a well thought of a system that he can use as a huge argument when anyone thinks of trying to discredit his efforts to form the strongest Serbia side possible. A holder of Master’s degree in English language and literature, Miloš Marković worked as the Editor-in-Chief at Sportske.net. He now contributes to various outlets as a freelance journalist. He also is a member of the Guardian Networkand a FIFAcorrespondent for Serbia. Passionate about English language and football, Miloš Marković is also a huge Liverpool fan. You can find him on Twitter @milosemarkovicu.